Emojis are all the rage these days and my daughters are not immune to their appeal. Kiki thinks they are fun, but TJ loves anything and everything emoji. She especially loves the poop one. I’m not quite sure why. 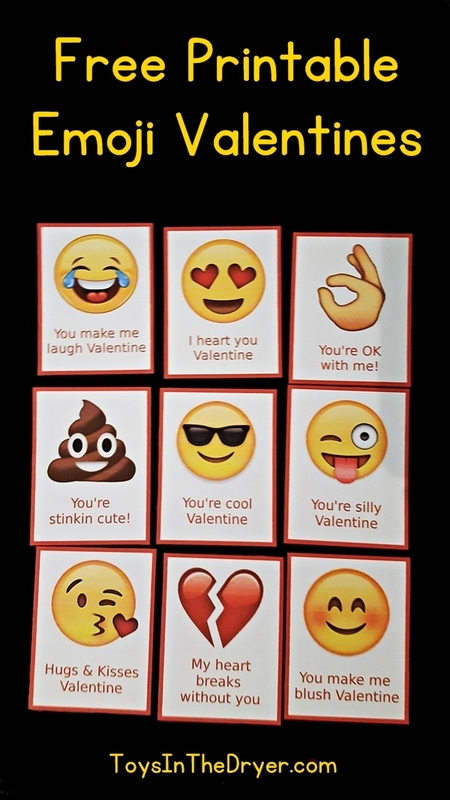 This year she asked if she could give out emoji Valentines at school. 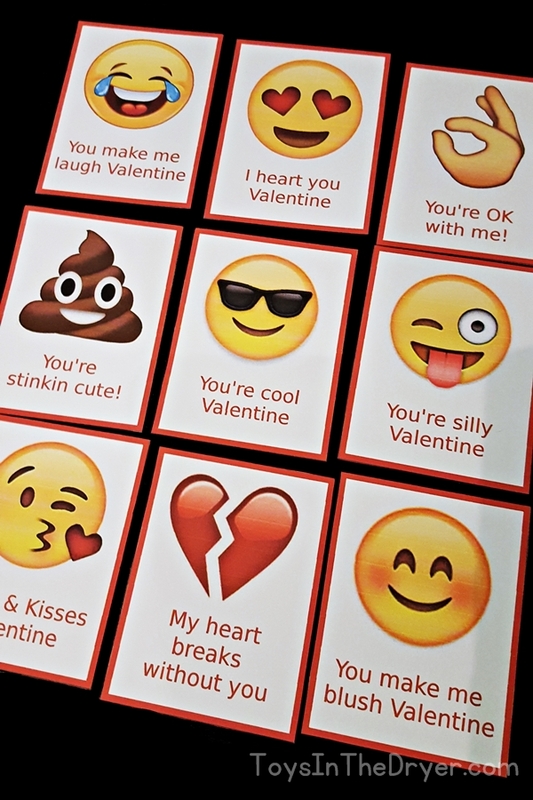 We searched the internet and found some free printable emoji Valentines, but none that contained her favorite poop emoji. So what did I do as an awesome mom? I made her her own Valentines! This isn’t the first time I’ve made Valentines for my girls. Check out the Valentine’s posts on this blog and you’ll see some that have been a huge success and others that have flopped. Kiki’s friends LOVED my fortune teller Valentines. But, an attempt at making invisible ink Valentines was a complete failure. 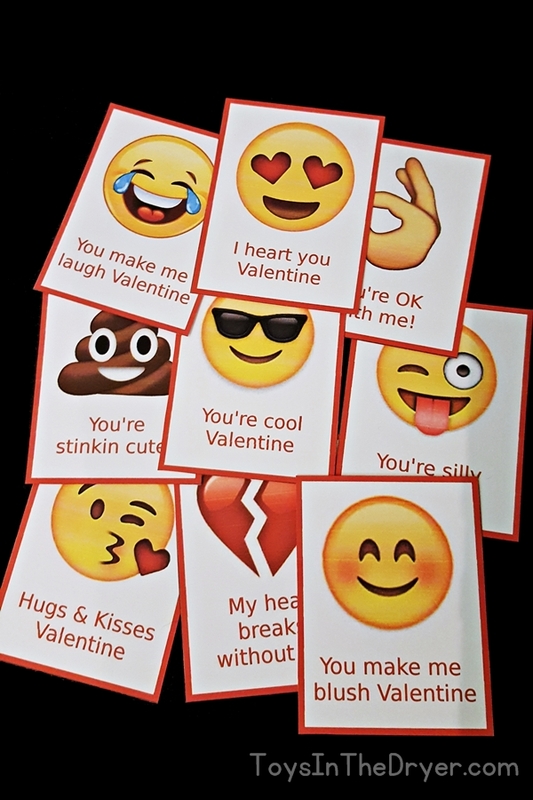 For these free printable emoji Valentines I did my research. I looked up the top used emojis according to Google and my girls’ iPods. Though the poop is not in Google’s top 10, it is among the top emojis used by my daughters and their friends. I hope TJ’s friends enjoy these Valentines as much as she does. We’ll tape some candy on the back to make them even more fun and appealing! 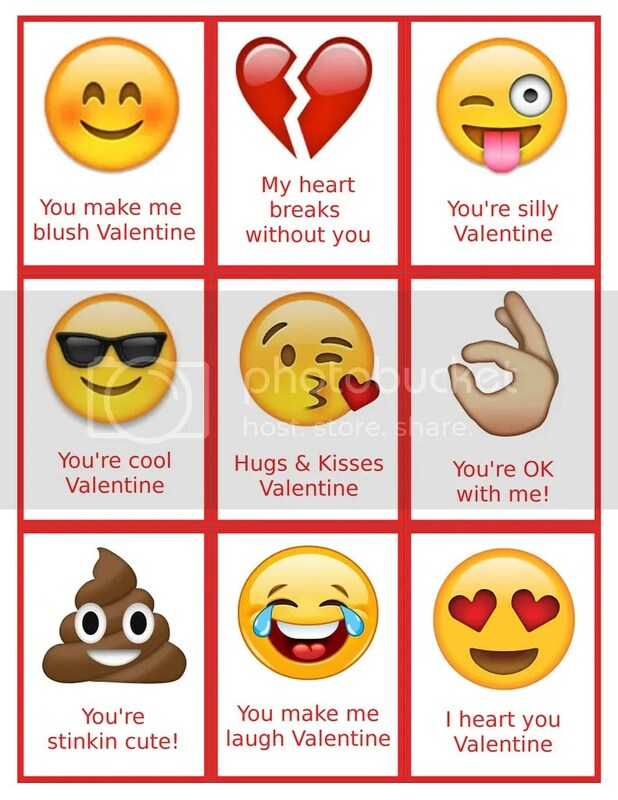 To print these free printable emoji Valentines for your kids just click on the photo below. Exactly what I needed! Got a two bags of foil wrapped chocolate balls that are emoji love/smile faces for my boys. The 💩 “stinkin’ cute” and 😎 “cool” cards will be perfect to attach to their bags of love face emojis. They will love it! Thanks!! !